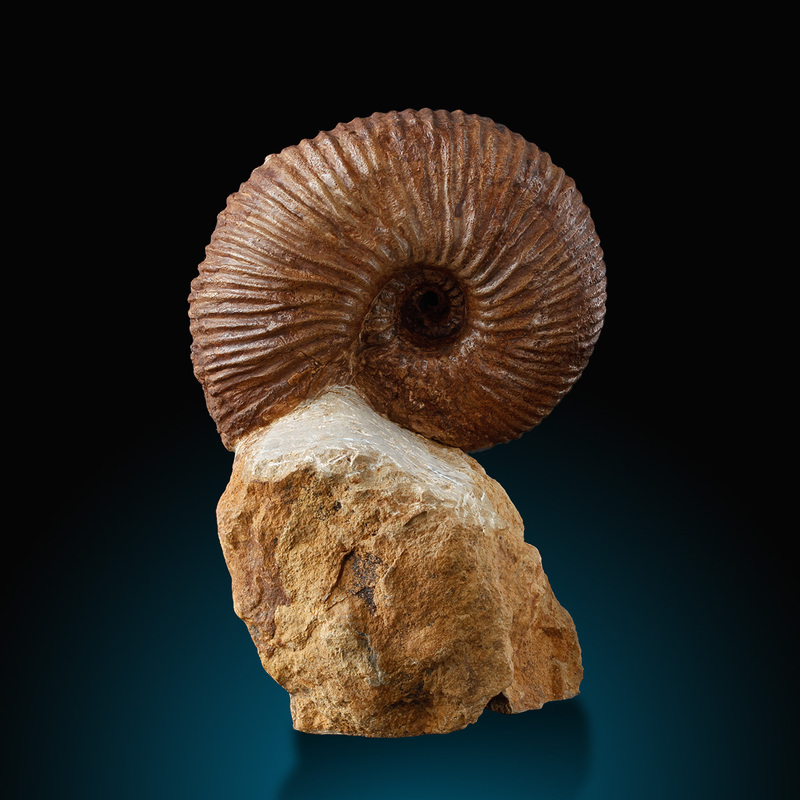 The specimen is about 165 millions of years old. 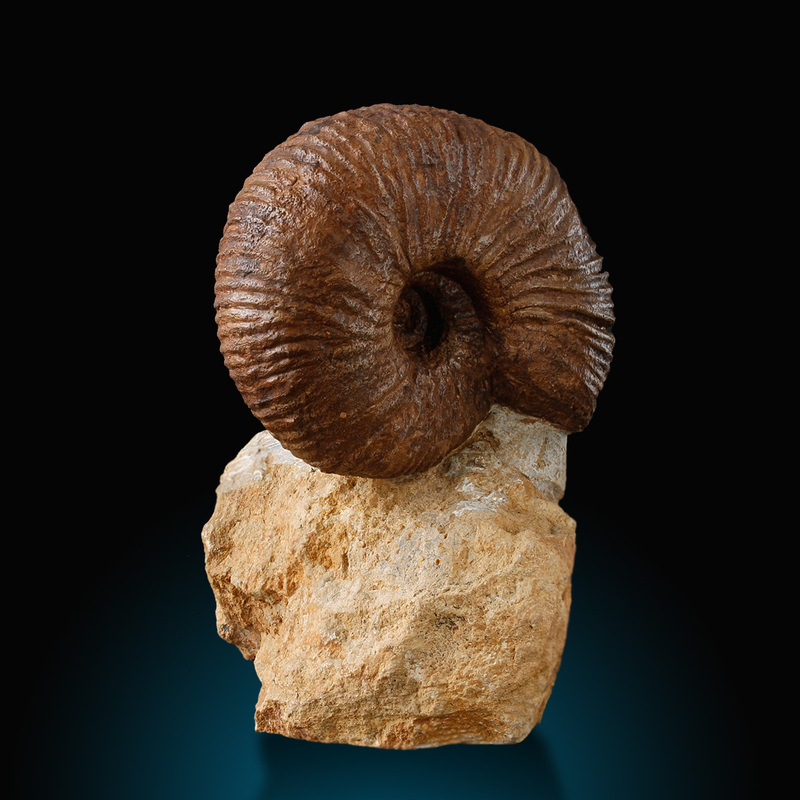 It is a "macrocephalites" from "brown jura". 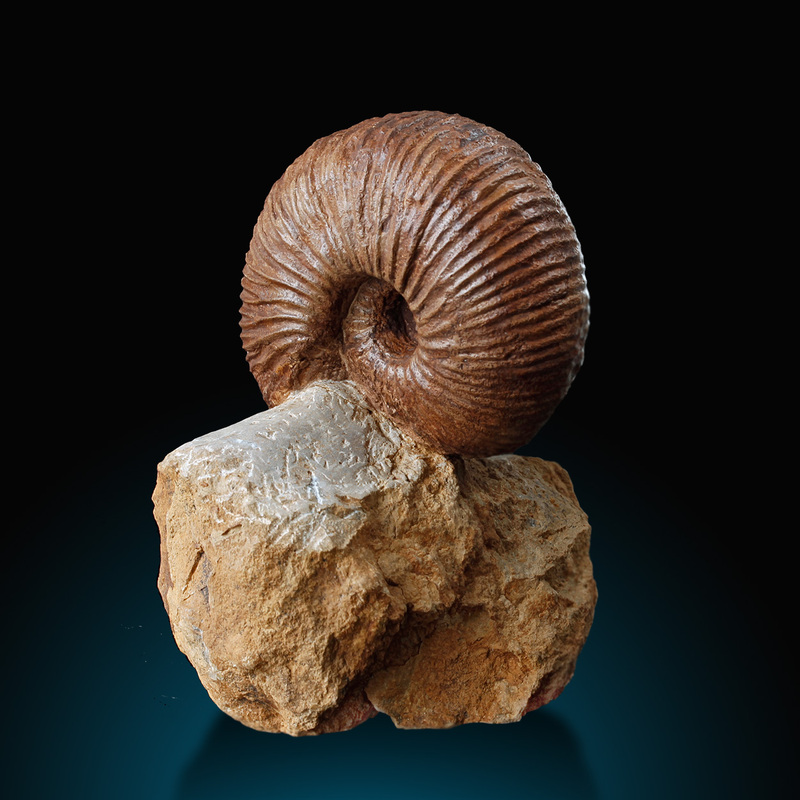 The ammonite is really well prepared - you can see all details, it is complete all around and completely freestanding. A very attractive, decorative sample from a famous locality!